Seattle based artist Barbara Robertson is known primarily for her work in experimental printmaking, digital animation and sound installations. 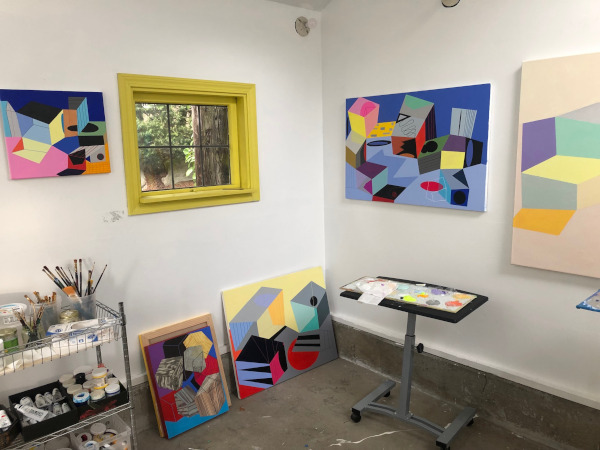 Awards for her work include grants from the Seattle Office of Arts and Culture City Artists program, 4Culture Individual Artists award, a KALA Art Institute Fellowship and the Neddy Fellowship from the Behnke Foundation. In 2004 her work was included in Events, a collaboration with the Merce Cunningham Dance Company, Joyce Theater, New York. In 2012, her work in animation was exhibited at the 4Cutlure Electronic Gallery in Seattle, at aproject space in Seattle, Washington, at Trykk 17 Art Center, in Stavanger, Norway and at the Eleftherias Art Center in Athens, Greece. In the winter of 2013, her animation Three Phases, was exhibited on an large outdoor screen at the Gates Foundation in Seattle. In 2014, three animations and one work on paper were part of a large special exhibition at the Tacoma Art Museum, titled Ink This! Contemporary Print Art in the Northwest. Robertson's work is currently being shown as part of "The Intersection Between Science, Art and Technology" exhibition at the American Embassy in Bern, Switzerland. Her work is represented by Davidson Galleries in Seattle. Robertsons work is included in private and public collections including the State of Washington Percent for Art, King County Public Art Collection, the City of Seattle Portable Works Collection, Harborview Medical Center, Tacoma Art Museum, University of Washington Special Collections, US Trust and Safeco Corporation. She has a Master of Fine Arts degree from the University of Washington, Seattle. In 1999, she established the print art program at Pratt Fine Arts Center in Seattle and has taught mixed media digital printmaking at Anderson Ranch and at Kala Art Institute in Berkeley, California. . She is the founder and past president of Seattle Print Arts, a professional organization for artists.